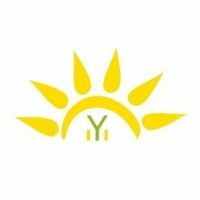 CYCLISIS is an independent non profit organisaiton which activates in the suburbs of Patras. Our main goal is to facilitate the lifelong learning strategies of the people who have limited access to educational opportunities, named women with low educational profile, dropouts and/or people with disabilities (physical or mental). This goal is getting real through peer educational paths and projects that work in favour of social inclusion and empowerment. Common strategies that CYCLISIS employs in order to reach the above goal, is Film Education and World cafe methodology. Through these educational tools, our aim becomes more strategic in terms of active involvement, citizenship awareness, empathy and integration. Smaranda Gheorghiu School was founded in 1916. It has always functioned as an institution that served the neighbourhood and its pupils belonged to three ethnic categories: Bulgarians, Romanians and Roma. The social and economical conditions had an a strong influence on the evolution of the pupils’ studies. The migration of the pupils’ parents to different countries in search for jobs had in impact on the children’s education. They cannot appropriate the school curricula and a considerable percentage is getting very low grades. Due to these aspects, the school developed various psychological counselling, support education, social and medical assistance programmes. We are an inclusive school where the children’s rights are respected and we promote non-discriminatory and anti-segregation measures. We want to use the most efficient methods and means of working with pupils that are standard in Europe. As many tools as possible so the pupils can later occupy their rightful place in society without being discriminated, tools that are targeted for pupils/students. MfC will implement all the activities with its added value, network experience and expertise in order to achieve all network objectives. The First National Dyslexia Center is a Bulgarian NGO, carrying out its activities in the towns of Ruse and Varna. 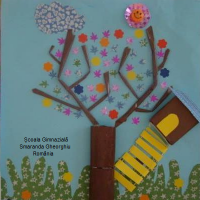 Its main scope of activities focuses on special pedagogy, and, in particular, specific learning difficulties. In this context, various events and participation in international forums and projects take place. Stress and anxiety increasingly accompany us in the hectic everyday life. People diagnosed with autistic spectrum disorder experience those even stronger because they need additional knowledge and tools to plan their lives. In the AUTISM_PCP project we will do our best to help this group of people in organizing their daily lives, so they could achieve their personal goals and gain their independence back. Macedonian Scientific Society for Autism is an organization that provides resources for helping people with Autism spectrum disorder and their families, institutions and NGOs that work in this area, provides scientific research, educational and professional support in the inclusive society in which people with Autism spectrum disorder and their families have a quality life. MSSA is an organization that conducts scientific research activities, activities for raising public awareness for people with Autism spectrum disorder, improvements of the treatment and quality of life of these persons and their families through organizing educational events and debates within the Republic of Macedonia. MSSA is established to accomplish and coordinate their interests and to perform activities and actions aimed at improving investigation and treatment of those with autism in Macedonia. MSSA will provide resources for helping people with autism spectrum disorder and their families, institutions and NGOs that work in this area. D.A.D.A.A was founded in 2015 in Komotini-Greece. It has about 90 members. Main purposes of the organisation is the participation of Autistic individuals in the social life of our Municipality and the improvement of their quality of life, to protect their rights by providing useful information about the legislation and to raise public awareness in order to eliminate the “stigma” that exists in small societies.Another aspect is to provide counselling and psychological support. This year we organise three classes, one of creative leisure time in cooperation with NIARCHOS Foundation, another for the use of gaming in order to improve the kinetic skills of autistic individuals in cooperation with Democritus University of Thrace and psychokinetic and sports groups. Future endeavours include the creation of study units, IT Laboratories and a daycare center for autistic individuals. Person centred approach is target oriented & the tool to improve our autistic children life because it makes us effective. “Effectiveness is the key”. ShipCon Limassol Ltd. (PIC number: 986558774) is a dynamic and fast growing company with emphasis on EU research funded projects and vocational and education training (VET). ShipCon strength lies on the expertise of its core team and the partnership with multi-national associates from all over Europe and beyond. With its Main Headquarters in Cyprus, ShipCon is strategically located in the crossroads of three continents, where specific economy sectors and activities have their own dynamic prospects for development, such as energy, environment and transport services. It is important to mention that ShipCon has been selected for inclusion in the 2015-16 European Business Awards sponsored by RSM. Part of our success is due to the large network of quality & trusted partners, both in industry as well as in academia that ShipCon maintains at regional and International level. 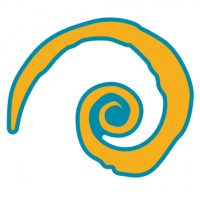 Since 2008, ShipCon has participated in the development and implementation of LIFE+, H2020, MED, Erasmus, FP7, ENPI MED, Erasmus+ & LLP projects. Moreover, ShipCon has successfully organised Grundtvig IST seminars for adult educators as well as other type of projects, such as Grundtvig Learning partnerships and Multi-lateral (ML) projects. The company has organised more than 30 international seminars in the last six (6) years in the area of entrepreneurship, innovation, emotional intelligence, project management, among others. 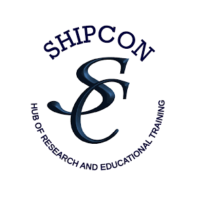 ShipCon’s unparalleled experience & expertise in securing EU funding from various EU programmes, such as H2020 (ex-FP7), Life+, MED, INTERREG, ENPI MED, Erasmus+, renders ShipCon as one of the best research & consulting companies in the South East Mediterranean.